Stumbling across Barren Earth on their Curse of The Red River record, the band have been slowly but surely bringing the riffs with them, becoming a force to be well and truly reckoned with and now the band have unveiled their brand new single “Withdrawal“. Coming off their brand new album A Complex of Cages, out March 30th, the band bring their haunting, Doom Prog from the dead once more. Sounding almost like a cross between Akercocke, Katatonia and Opeth, the band bring this classic wistful sense of nostalgia with them on the new single. Containing some absolutely grade A Prog. Especially if you’re a fan of that gorgeous keyboard sound. If you do one thing this week, check out their brand new single that was premiered yesterday and get ready for their brand new album. 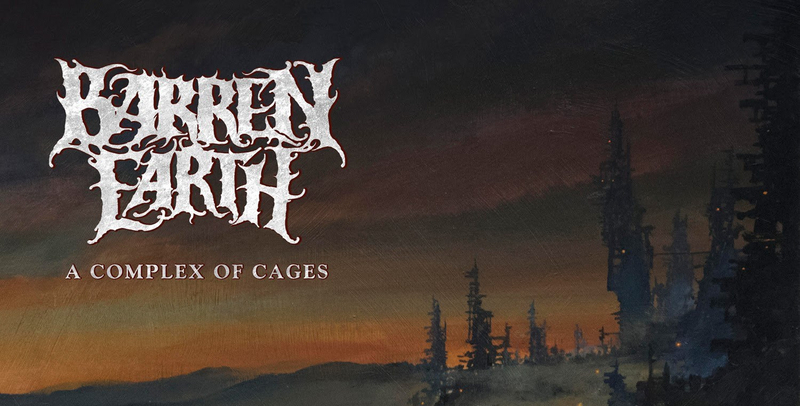 Barren Earth’s new record A Complex of Cages is set for a March 30th release via Century Media, preorder the album here.